While native advertising – a paid placement in which the ad blends in with the look and format of the surrounding content – isn’t new, it is enjoying a major comeback. According to one estimate, spending on native advertising in the United States was projected to grow from $4.7 billion to $10.7 billion between 2013 and 2015, and reach $21 billion by 2018. 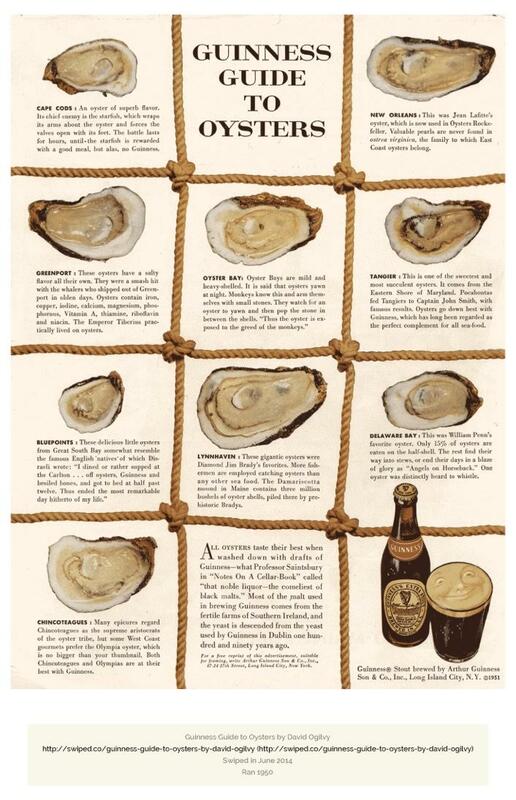 Investments in “native-style” advertising, such as the Guinness guide to oysters, are pegged to grow nearly 500% in that same time. Many factors and forces are driving the renewed interest in native advertising formats – they mostly boil down to the idea that native is a solution for getting attention in a sea of content. As the use of ad blockers grows, the odds of the audience seeing paid ads are less likely. Consumers also are spending more time consuming content on their mobile devices than on their desktops. The reduced real estate on mobile screens encourages the use of native in-stream ads such as promoted Facebook posts and sponsored tweets. Digital-only outlets (e.g., BuzzFeed and VICE), as well as traditional, seemingly conservative publishers have embraced native advertising, including The New York Times, The Wall Street Journal, and The Atlantic. By 2013, three out of four U.S. publishers offered native ad opportunities for brands looking for new and/or more effective ways to get in front of audiences. While native advertising opportunities abound, are content marketers taking advantage of these paid media channels? Joe Pulizzi has written to clarify what native advertising is (a content marketing distribution channel) and what it is not (a synonym for content marketing). To learn more about how marketers use native advertising for content marketing purposes, Content Marketing Institute surveyed a segment of its audience last summer. The study, sponsored by Advance Ohio, revealed some interesting findings. Forty-three percent of the survey respondents (all of whom had a content marketing role in their organization) reported using native advertising for content marketing purposes in the previous 12 months. The top goal among content marketers for native advertising was to create brand awareness (63%). Almost all (97%) indicated that their organizations plan to use at least the same amount of native advertising for their content marketing in the next year – almost two-thirds say they plan to spend more. The survey also revealed that native advertising for content marketing is a relatively new distribution tactic for marketers. Almost three out of four have used native advertising for content marketing for less than three years with one-third using it for less than a year. While these marketers are using native advertising, most are using it sporadically or experimentally – only 12% incorporate native into their editorial calendar and use it on a continual basis. 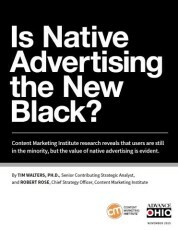 An in-depth analysis of the survey data, along with secondary research and guidance for content marketers who are already using native (or are considering doing so), are presented in the CMI white paper, Is Native Advertising the New Black? Want to know our conclusion? SPOILER ALERT! Native advertising is here to stay. Make no mistake, though. Native advertising won’t displace digital banner advertising nor will it subsume other content marketing initiatives. However, if you view it as another distribution tool in your content marketing arsenal, you may find it has value. To be sure, at this early stage, additional and broader studies are required. We invite you to read the full report, Is Native Advertising the New Black? and look forward to a healthy discussion of native advertising’s contribution to content marketing and marketing efforts in general. To glean insight from this and other research, visit our custom research page.